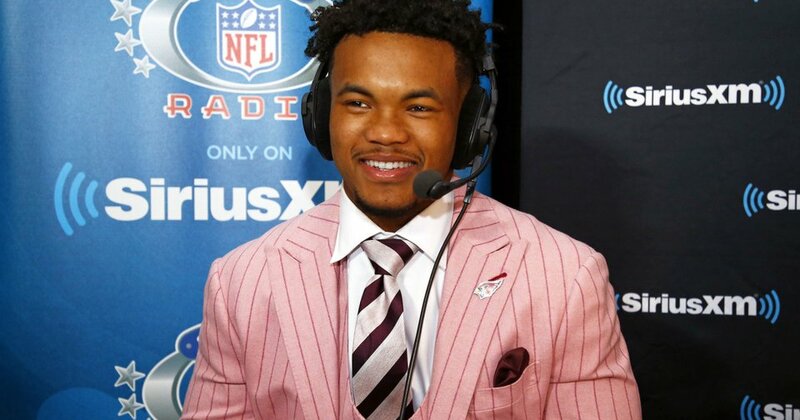 Kyler Murray became the second straight Oklahoma quarterback to win the Heisman Trophy on Saturday night when he was presented with the prestigious award at PlayStation Theater in New York City. 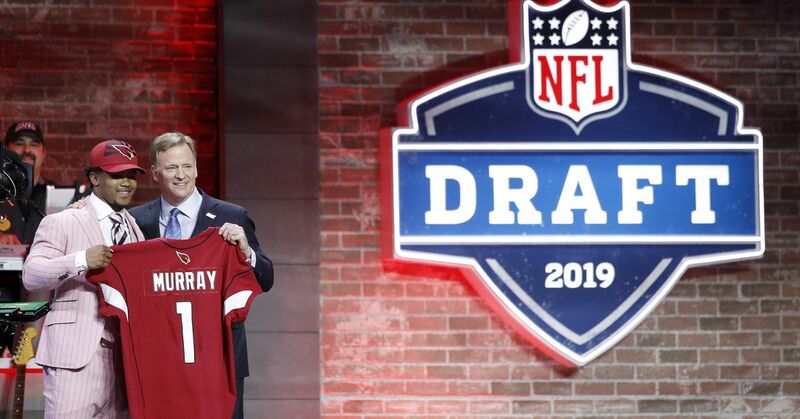 Murray beat out Alabama quarterback Tua Tagovailoa and Ohio State quarterback Dwayne Haskins to capture the top award in college football. Murray won with 2,167 points, which included 517 first-place votes. Tagovailoa had 1,871 points and 299 first-place votes, while Haskins came in third at 783 points (46 first-place votes). Before taking the stage for his speech, Murray embraced his parents and Oklahoma head coach Lincoln Riley with celebratory hugs. The first thing Murray stated when he took the podium for his acceptance speech was, "This is crazy." Murray discussed how he worked his whole life to achieve his goals and then praised both former Oklahoma head coach Bob Stoops and Riley. Stoops, who coached Oklahoma from 1999 to 2016, was at the helm when Murray joined the Sooners. As Murray praised and thanked Riley, the Oklahoma quarterback became emotional. Riley also became emotional and appeared to tear up as one of his top players joined the company of some of the greatest players in college football history. "You pushed me harder than any coach ever has," Murray told Riley during the speech. "Thank you for believing in me." Murray then also took the time to thank his teammates, family and friends. "I honestly feel like you should be up here with me," Murray told his parents during the speech. 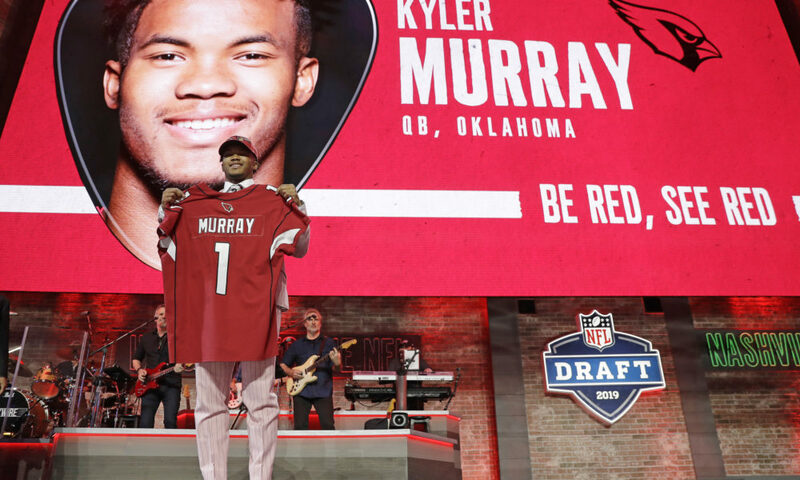 Many on social media praised Murray's acceptance speech, as the Oklahoma quarterback appeared quite thankful that he won the award, while also showing humility and praising and thanking those closest to him for the support. There is some uncertainty surrounding Murray's future. He was selected by the Oakland Athletics with the No. 9 overall pick in the 2018 MLB draft and had once stated he planned to play professional baseball, but things could change. However, on Saturday night, Murray just enjoyed the moment after winning the Heisman in front of his family, counterparts and football legends.